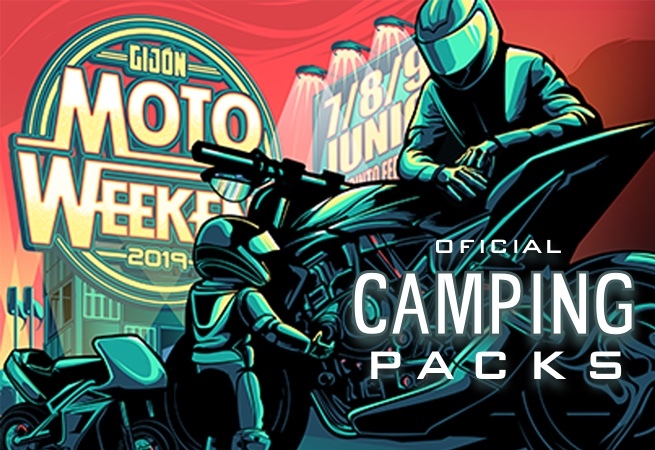 This ticket allows general access to the Gijón MotoWeekend 2019 during the weekend from Friday 7th June - Sunday 9th June. 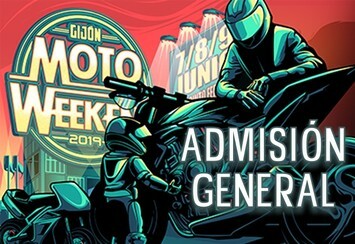 This ticket allows general access to the Gijón MotoWeekend 2019 on Friday only, 7th June. 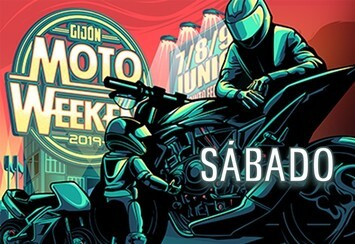 This ticket allows general access to the Gijón MotoWeekend 2019 on Saturday only, 8th June. This ticket allows general access to the Gijón MotoWeekend 2019 on Sunday only, 9th June. 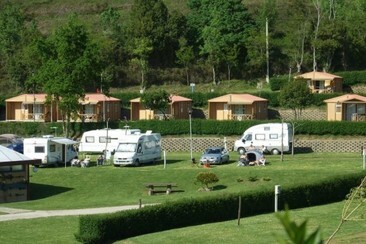 The Camping of Deva is a 1st category, located near the city center, just 6 km from San Lorenzo beach in Gijón, Asturias. This campsite has 310 natural lawn plots, with 10 Amps power point each. The caravans area is formed by plots bigger than 70 m2, water connection and drainage. There are three blocks of toilets with sinks, and free hot showers 24 hours a day. The Camping of Deva is a 1st category, located near the city center, just 6 km from San Lorenzo beach in Gijón, Asturias. 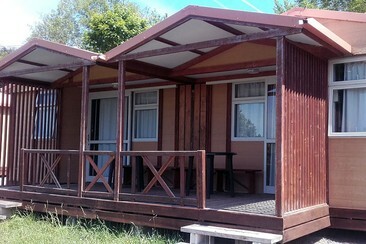 Log Bungalows fully equipped to enjoy your stay. Amenities include TV, kitchen dining room with microwave/oven, refrigerator and kitchenware, 1 bathroom with shower. 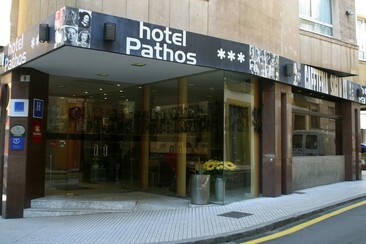 City House Pathos Gijón Hotel is a complete hotel in the old town of Gijón, next to Plaza Mayor and one step away from the marina. 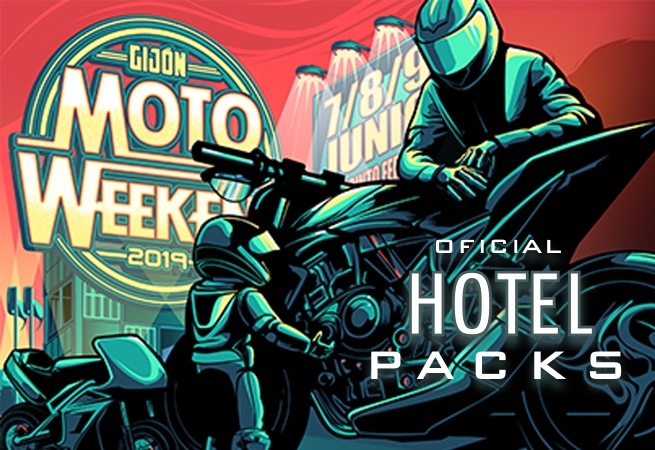 This is an accommodation full of charm and history, with special services for city breaks, events or business trips including 24 hours reception, free wifi throughout the entire hotel, bar, meeting rooms. All of the rooms at the Hotel City House Pathos feature air conditioning, satellite TV and a well-equipped bathroom with amenities and hairdryer. Hotel City House Pathos’s snack bar offers drinks, snacks and a daily set menu. 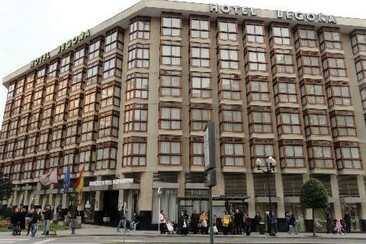 Hotel Begoña is situated by Begoña Park, in Gijón’s town centre, in the town’s cultural and commercial area. It is also near the bus and train stations and San Lorenzo beach. The hotel is also close to the tourist part of town and to the old quarter, Cimadevilla. The rooms at the Begoña feature tiled floors and simple, classic-style décor. Amenities include private bathrooms with a hairdryer, flat-screen TVs, balcony and room service. 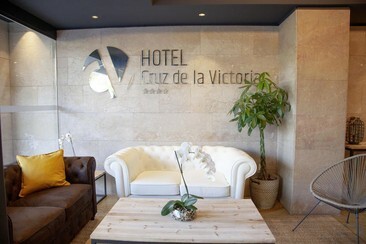 The Hotel Cruz de la Victoria is located in El Berrón, in an unbeatable location, in the center of Asturias. El Berrón is a town belonging to the parish of La Carrera, in the Asturian council of Siero. Gijón is 22 km from the accommodation, while Oviedo is 14 km away. The nearest airport is Asturias Airport, 49 km from the hotel. Both free WiFi and private parking are accessible at this property. All units in the hotel are fitted with a flat-screen TV, minibar, safe, hairdryer, magnifying mirror and free high-speed Wi-Fi. 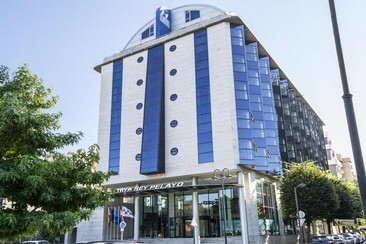 Tryp Gijón Rey Pelayo Hotel is located in the heart of Gijón, only 100 metres from San Lorenzo beach. The hotel offers views of Isabel La Católica Park. Tryp Gijón Rey Pelayo is set next to El Biblio Bullring and Gijón’s Exhibition Centre is 10 minutes’ walk away. Gijón Railway Station is just over 2 km from the hotel. The bright and airy rooms and suites, feature modern decor and wood floors. A buffet breakfast is served in the Pelayo’s dining room, while the El Bergatín Cafeteria offers drinks and light meals. Free high-speed Wi-Fi throughout the hotel and parking with direct hotel access.